Looking straight out of the 70s today with lace bell bottoms, giant round sunnies, wooden platforms, and tons of jewelry. As a matter of fact, these wooden platforms are actually vintage from the 70s! It was warm and sunny out and I wanted to have some fun and dressed up a little. Do you like those giant round metal framed sunnies? You can get a pair from my shop! They also come in black too! Terra cotta open front duster by Sparkle & Fade from Urban Outfitters. Floral tie front blouse by Solemio from my work Sway. Lace bell bottoms from Japan. 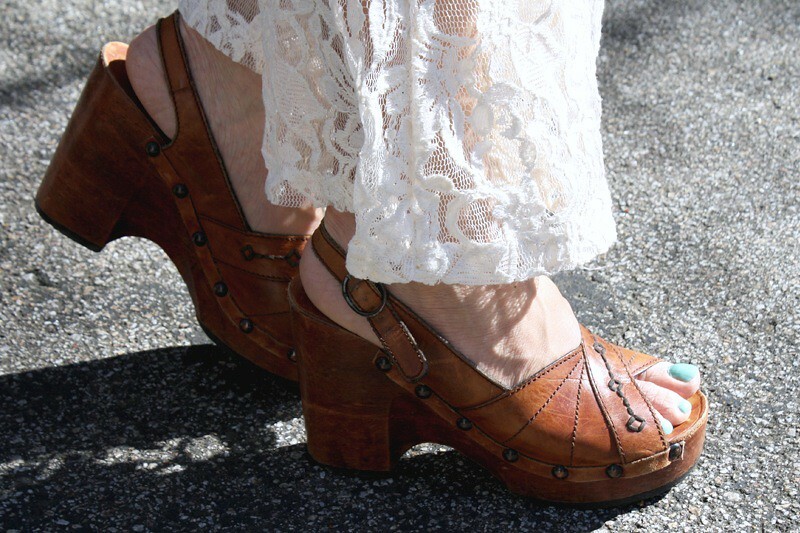 Vintage 70s wooden platforms from Etsy. Vintage southwestern leather and tapestry purse from Etsy. Round metal framed sunnies from it's not her, it's me. I really like the color combos here! 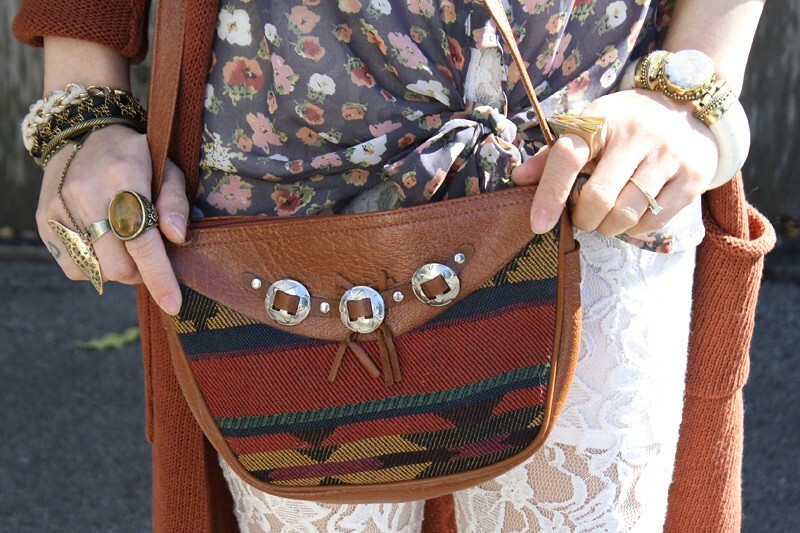 Brown is my go-to color and you pull of the Seventies look SO well! (: I hope you are having a great weekend! LOVE your Blog! Stop by mine sometime!